The well-known Ken Salisbury Hand has been designed in order to optimize its workspace and its manipulation capabilities. It has been emulated in many other devices. 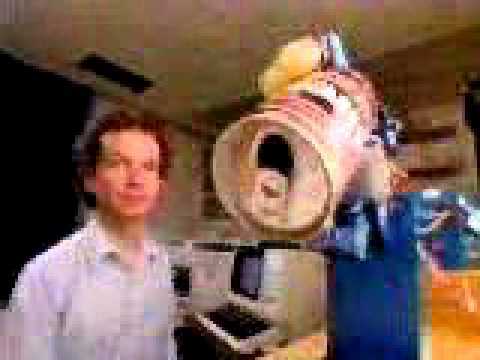 The Shadow Hand is a popular and well-known commercial, anthropomorphic robot hand. Many articulated hands have been developed at DLR, often representing the state of the art in the field. The video shows the 2011 version in this series. 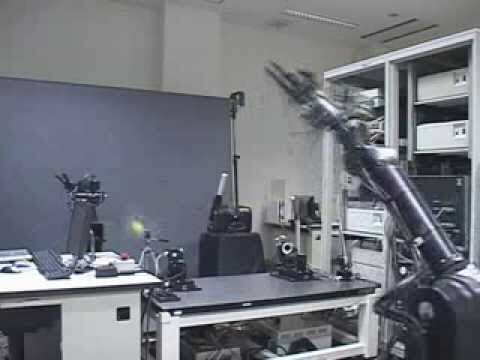 Ishikawa Komuro Lab's high-speed robot hand performing impressive acts of dexterity and skillful manipulation. This hand, developed at the University of Bologna at the beginning of the 1990s, was the first to implement the "whole-hand-manipulation" capability. It was equipped with intrinsic tactile force/torque sensors in each phalange and in the palm. 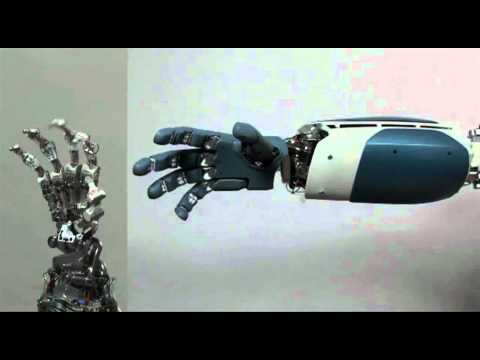 Grasp and manipulation tasks executed by the Dexmart Hand, an anthropomorphic robot hand developed within an European research activity. Detailed aspects of the "twisted-spring" actuation principle are demonstrated.